Finnish Elections: State broadcaster YLE highlights SDP’s grossly anemic 2/10 of a percentage point difference of a win……. – The Tundra Tabloids……. But the Finnish state (Left-leaning) broadcaster YLE is still in shock, and can’t really formulate any coherent reporting right now. They’re feeling the equivalent of what former Finns leader, now a Blue Reform sidekick, Timo Soini is feeling, a big kick in the gullet. 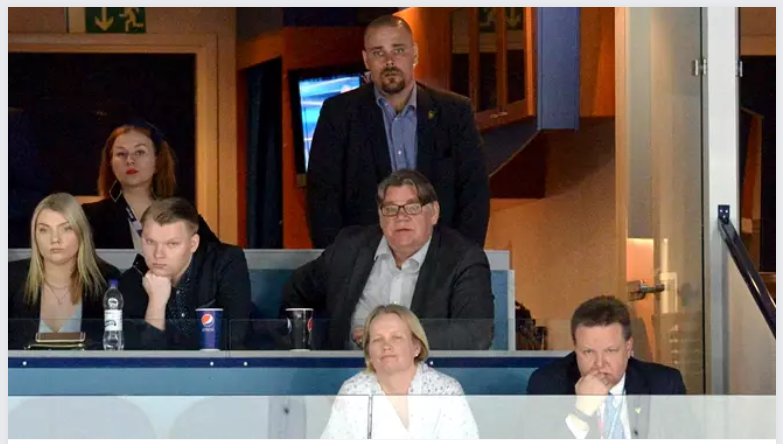 Soini was in such an election funk that he’d rather watch the women’s national hockey team lose to the USA instead of election results. Government parties took a drubbing in Finland’s parliamentary election on Sunday as Prime Minister Juha Sipilä’s Centre Party polled its lowest general election result ever with just 13.8 percent of the vote to lose 13 seats with all votes counted, while hard-right populist Finns Party came second with 39 seats, just one behind the Social Democrats’ 40. Coalition partner Blue Reform was obliterated, getting just one percent of the vote and no MPs, while the third government partner the National Coalition Party emerged from four years in power relatively unscathed to gain one seat and finish on 38 seats. Sipilä, a former businessman, had promised to bring the efficiency of the private sector to government as prime minister. However his administration’s austerity policies and labour market experiments such as a contentious so-called activation model ruffled many feathers. Reacting to the results on Sunday, Sipilä said that the party was the evening’s biggest loser. “We are the biggest loser and that must be acknowledged. The people have spoken,” he added. 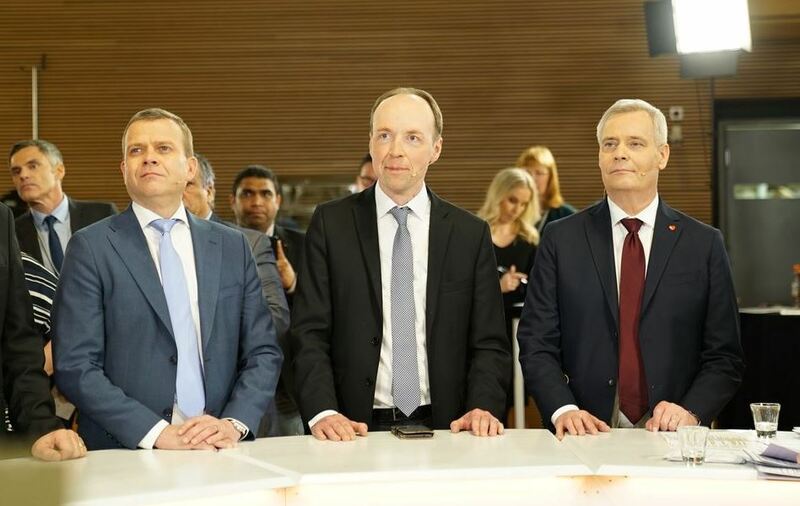 An upstart in the race according to media polls, the Finns Party made good on pre-election polling and staged a strong finish with 17.5 percent of the vote. Immigration hardliner and party chair Jussi Halla-aho had previously had said he wanted to take the party into the next government. “We have made it very clear to everybody that we are open to cooperation with everyone but not at any cost,” Halla-aho said. “We could not join a government which is not committed to reducing harmful immigration to Finland,” he added. Halla-aho scored a double win for the Finns Party, as he emerged as the evening’s biggest vote magnet, attracting support from more than 30,000 voters. The centre-left Social Democratic Party managed a razor thin lead over its rivals, snapping up 17.7 percent of ballots cast, one of its poorest election outcomes ever. But that was enough for the Social Democrats to increase their parliamentary presence by six seats to 40, likely giving the party the mandate to initiate government formation talks. Party leader and former union boss Antti Rinne told Yle News that he is likely to focus on a few key issues in government. “I hope we can solve this unemployment situation we have in Finland nowadays. It’s pensions, students, and child families are not doing so well in Finland now,” he noted. The NCP ended the evening with 17 percent voter support, just trailing the populist Finns Party. The SDP and the NCP have not always seen eye-to-eye, but party chair Petteri Orpodid not rule out both parties cooperating in government. “Of course it is possible if we find a common programme for the government. Our red lines are the economy. We want to keep public finances in balance and we want Finland to be an active member of the EU. And our main target is to get the unemployment rate to a Nordic level,” Orpo told Yle News. The election was a hotly-contested race in which no single party was able to harvest 20 percent or more votes — a situation that analysts described as unusual. The outcome reflects what pundits are calling an increasingly fragmented political landscape in Finland. “People are looking for options. They have not been satisfied and that’s why we have seen the growth of support for the Finns Party and the Greens,” said political commentator Sini Korpinen, a frequent contributor to Yle News’ All Points North podcast. “The age when three big parties take turns in government or in opposition are over. It’s time for politicians to figure out how to make things work,” she added. This year a record number of people — more than 1.5 million or 36.1 percent of the electorate — opted to cast their ballots early during advance voting. Early voting activity increased by about four percent compared to the previous general election. The election has seated a record number of female MPs in the Finnish parliament. This year women will take up 92 positions as lawmakers, up from the previous record of 85 in 2011. In addition, this year saw more women than ever among the top vote-getters. One of Finland’s new vote magnets was NCP MP Elina Lepomäki, whom punters see as a contender for party chair when party delegates meet to elect a new party leader in 2020. Overall, around 60 foreign-background candidates vied for seats in the election, according to Statistics Finland. Next Post Next Post Vida Movahedi who held her headscarf aloft on a stick sentenced to a year in jail…….